"How do you take someone from a Third World country and throw them into the circus?" That's the question posed by Don't Stop Believin': Everyman's Journey, the charming new documentary detailing Arnel Pineda's too-amazing-to-be-real musical fairy tale -- the tale of a virtually unknown singer stepping into the role of frontman for one of rock's most legendary bands, Journey. Sound a bit insane? Well, as the song goes, don't stop believin'. Pineda's story is 100 percent true. 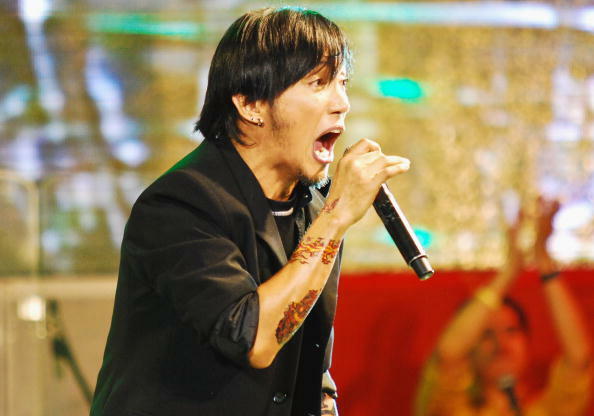 The vocalist, who grew up in a struggling Filipino household and spent several years on the streets of Manila, managed to gain local acclaim after joining a neighborhood band, but never gained much attention outside the Philippines. That all changed in 2007, when Pineda -- who had a series of videos on YouTube covering favorite American rock songs, including Journey's classic "Faithfully" -- received an eye-opening email. "Interested in singing for the real band Journey?" it read, and it was signed "Neal Schon" -- Journey's founding member and guitarist. "I thought it was a scam," admitted Pineda, who was 40 at the time. "Where I come from, it would be crazy to just believe an email like that … but my friend, the one who uploaded my live video performances on YouTube, he was pretty persistent. He was [certain] that the email was for real." So, although skeptical, Pineda replied to the email with his contact information. "That was it," he noted. "He called up, and to my surprise, it was Neal." It was, indeed. Schon had been enduring a frustrating period since 1998 attempting to find a lead singer to replace original frontman Steve Perry. By 2007, he'd lost two replacements and found himself resorting to YouTube for ideas on where to find the next. When he heard Pineda's voice, he was stunned. "I thought, this is too good to be true," he told USA Today. Pineda had his doubts about joining the group. Aside from insecurity about walking unknown into an iconic rock band, he had concerns about how fans might compare him to Perry. "I'm so short and so Asian!" he laughed. However, he found boundless encouragement from his new bandmates. "They taught me how to be brave. How to be confident," he explained. Pineda remembers his first big show with Journey -- a Chilean date in front of nearly 20,000 fans, which nearly caused him to pass out from stage fright. "After peeking out from behind the curtain, I went back to the band and said, 'Can I just go home? I don't think I can do this!'" he says. "But Neal said, 'Too late, brother.'" From there, it's been nothing but an upward trajectory for the singer -- who's received boundless support from fellow Filipinos and the Asian community at large. When he was contacted with the idea for a documentary about his amazing tale, he took a minute to consider how he would translate on the big screen -- "me and my ugly face, and my short stature." But then he realized it was a unique opportunity to spread a positive message. "I represent the kids in the Philippines," he explained. "Kids around the world, especially in Third World countries, we have dreams. I'm living my dreams." "We're selling hope. Dreams, they do come true. Miracles can overcome misery and hardship." We say: Hold on to that feelin'. Don't Stop Believin': Everyman's Journey is now playing in limited release.